Today’s post seems like a HUGE one… but it’s actually three small yummy bite-sized pieces. We’re gonna reveal to you three ways to BULLETPROOF a stock! Folks, I want to point you out to the best info here on this blog and also on YouTube and other resources. So click on the little ‘rabbit trails’ I’ve posted here for you whenever a cool principle or technique strikes your fancy. In this RadioActive Trading Blog post, I take a simple RadioActive Profit Machine (a highly specialized married put play) and show not one, not two, but THREE ways… to bulletproof a stock, receive a little income, while leaving our upside open for further growth. With the RadioActive Profit Machine (RPM), that’s never been more true. Now that we have TWELVE “Income Methods”, there are more ways than ever to take income… reduce risk… or BOTH. In today’s post I’m going to show how you might use three different RadioActive Trading Income Methods to bulletproof a stock. To get to that wonderful promised land, in which the stock you own can no longer hurt you if it goes down… but can continue to win if’n it decides to go up some more. The above stock-plus-put setup risks less than six percent, but has an unlimited upside potential. That’s where all RadioActive Profit Machines (RPMs) begin; they have a small amount of risk (though it’s less than straight-up owning the stock without protection), but they have unlimited growth potential. The RadioActive Profit Machine. Heads you Win… Tails? You Don’t Lose Much. So after limiting risk, how do we go the next step and bulletproof a stock? Within the context of this “RPM” (longer term married put play), now we can do ‘nested’ trades… near-term, smaller plays that capture income… while still leaving the upside open for continued growth in the future. When the amount of income you’ve captured EXCEEDS the “AT RISK” amount from line 5) above, then the cost basis of the stock plus put is LOWER than the strike price of the put. In other words, you’ve effectively paid less for your RPM than you’re guaranteed to get out of it. Remember we put this example RPM together on Mar 1, right? With less than 6% AT RISK we can just let ‘er sit for a while. 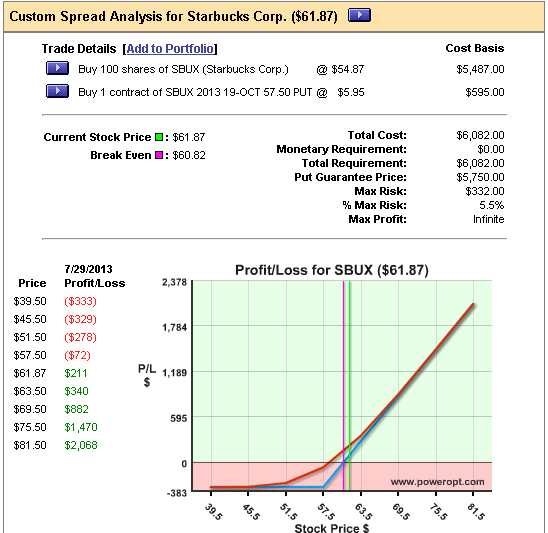 One week later on March 8 SBUX is up from our $54.87 buy-in, all the way to $58.67 a share. At this point, the April 2013 $57.50 calls are bidding at $2.32. How ’bout we sell one to generate a little income? That’s a ($63.47 – $60.82 = ) $2.65 per share profit (4.35%). We might also close the April $57.50 call for .93 cents and look for a chance to do Income Method #1 again. We captured $2.32, then spent .93 cents to keep the stock. That’s a net of $1.39 taken off of the cost basis of the stock. This brings us nearly halfway to “Bulletproof”. 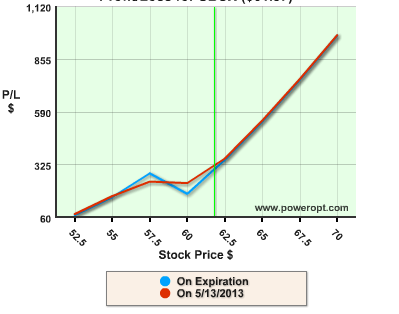 Selling a call, then buying it back at expiry generates $1.39, reducing the cost basis of the stock to $53.48 . “Bulletproof” Trade. 2nd Income Method #1 play guarantees a return, we just dunno HOW much til May Expiry. Lemme bring your attention to a sweet li’l something… in the above chart, there is a small, negative amount AT RISK. 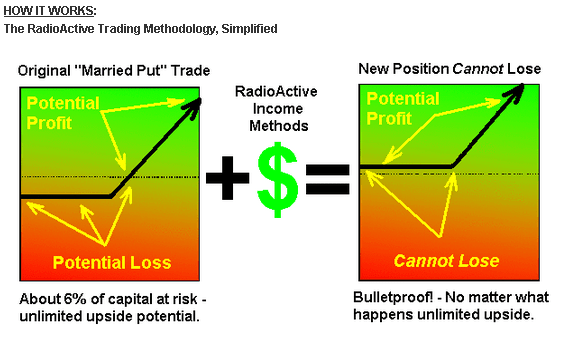 Negative risk means “Bulletproof”; this trade can win big (up to 9%) but what it can’t do anymore is lose. Income Method #1, shorting a call for income, has the nasty side effect of capping the upside potential of our stock. 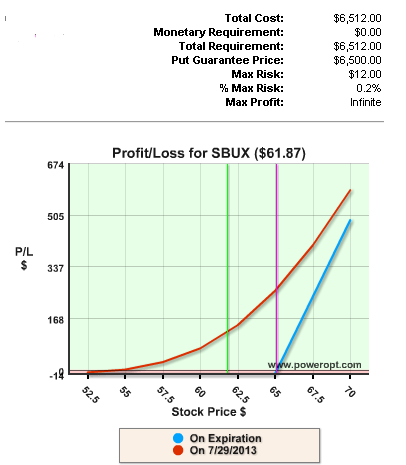 For our second bulletproofing technique, I’ll take the same SBUX RadioActive Profit Machine and capture the movement of the stock without shorting a call. This leaves the upside open all the time. We’ll use the March 1 setup from above with 5.5% AT RISK. By March 8, SBUX stock has gone up from $54.87 to $58.67 a share. At first blush this appears to be not income, but outgo. We’re spending ($5.20 – $3.90) = $1.30! Ahh, yes. BUT..! That $1.30 invested by rolling this put up, guarantees us a $2.50 higher exit price. Not shabby. After 2nd Income Method #4 application BULLETPROOF, still unlimited upside potential. I should mention something here about the growing gap between the red and blue lines in the PowerOptions Risk/Reward Graph. The Blue line represents return at expiration. The Red line shows stock plus the faaaat premium represented by the time left to expiration. This particular Red line is the stock plus put’s value at 7/29 or sooner. So the payout can be very big in this case, like my friend Mike Chupka that closed an Income Method #4 play for a 59.8% return after bulletproofing. Here’s a sweet little darlin’ I like to use to reduce the cost basis of stock, over and over and over again… until all risk disappears. A “Bear Call Spread” is formed when you sell to open a call contract at a low strike price, then use some of the proceeds to buy to open a contract at a higher strike price. The result? You get a small premium. NORMALLY, there’s a risk associated with that premium because most folks doing a Bear Call Spread don’t actually have the stock on hand; they may end up with the unfortunate obligation to deliver shares of stock at the lower price. To satisfy the obligation they buy stock at the higher price, creating a loss. BUT..! Get this: Income Method #6 is truly a riskless spread trade because we do the Bear Call Spread within the context of owning the stock. The Bear Call Spread, applied according to the rules in The Blueprint, captures premium but cannot come back and bite you… because the stock you may be called on to deliver is already in your account. One of the rules is to capture one-half of the width of the spread or more. 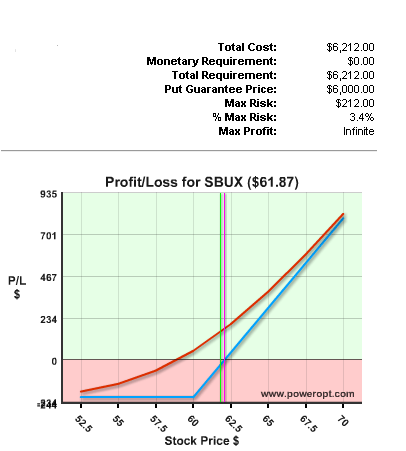 For example, selling a $57.50/$60 spread, you’ll want to capture $1.25 or more. 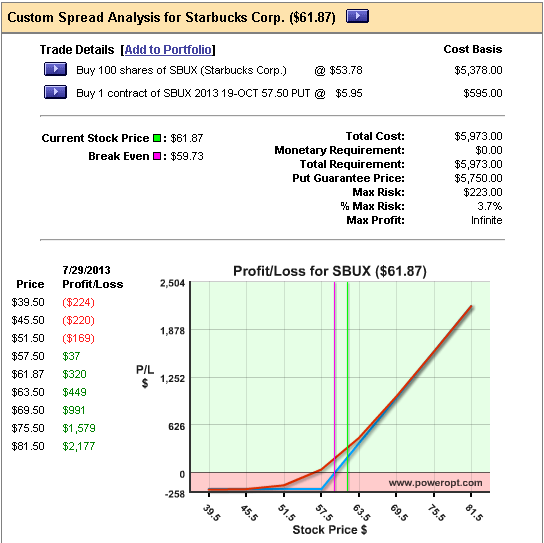 With repeated, income-grabbing applications of Income Method #6, SBUX could become Bulletproof. All four legs are represented; 100 shares stock, 1 October put, 1 short April $57.50 call, 1 long $60 call. Note that if the Bear Call Spread goes against, the net result is still profitable. This is a truly unique play; I’ve never seen anything like it. The premise is that doing a Bear Call normally introduces risk, but that risk comes from taking on an obligation to deliver something you don’t have. When you do the Bear Call Spread… but you already own the underlying stock, there is no loss from getting assigned. Furthermore, you own a long call that increases in value as the stock continues up..! After employing Income Method #6: The Bear Call Spread once, we wait until another opportunity to capture $1.25 or more presents itself. All that remains is to watch forthe opportunity to sell the MAY $57.50/$60 Bear Call Spread to grab $1.25 or more premium. Happy, happy day. By this point we have collected premiums from Bear Call Spread plays totaling ($1.25 + $1.46 + $1.40 ) = $4.11. We’ve spent ‘management’ costs to keep our SBUX stock of ($0.16 + $0.93) = $1.09. That’s ($4.11 – $1.09 = $3.02 of our $3.32 AT RISK cancelled. Is it really, though? What wouldn’t many of us give to have complete peace of mind during uncertain markets, or right around an earnings announcement? I was long on Marvel Comics (symbol used to be MVL) when Disney (DIS) announced that they were buying Marvel for $4.4 Billion. My MVL shares, which were Bulletproof at the time, shot through the roof! I had used Income Method #6 to take a riskless credit of $1.05 per share on MVL, but then ended up taking a 30.2% gain on what I had spent on the stock and put combined. I don’t know if I would have had the nerve to stay in a volatile stock like MVL was if it wasn’t for Bulletproofing… But sure am glad I had used the RadioActive Trading principles of The Blueprint in order to trade fearlessly, capturing premiums, while leaving the upside open. I am very interested in the bullet proofing my stock positions , thank you for the information. You’re welcome! If you get the chance, come see one of our free options trading webinars at 12:00 Eastern on Tuesday or Thursday. You can register at http://www.radioactivetrading.com. Dear Kurt, I have received the Blueprint and I am total believer in the methods. Thank you so much for sharing the idea of bulletproofing my stocks. In the last six months of trading, even though six out of 10 growth stocks cratered, I was able to manage ALL of them with ABSOLUTELY no loss. In some of them, I even made money! I wish I had known about bullet proofing a year ago. 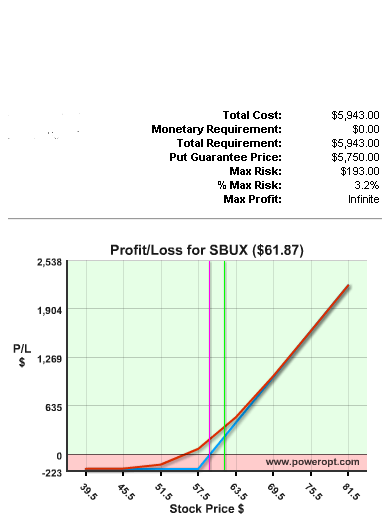 I am still recovering some huge losses I have incurred a year ago but since having gone through bullet profing methods, I am very excited to use PUT options more gladly than ever before and I am slowly making my progress. What is most heatwarming for me is that almost all of my portfolio is bullet proofed. THANK YOU Again so much for the Blue Print. 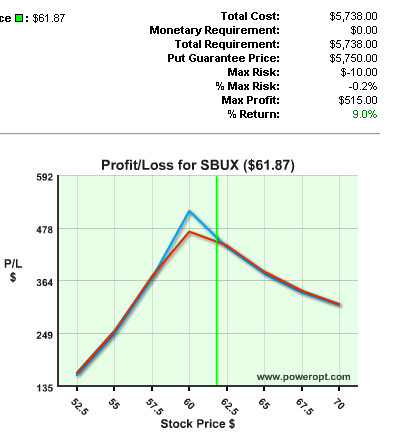 Great to know that you were able to get out of six losing stocks without a loss… even making money with some of them. Great job. And bulletproofing most of your portfolio already. So often I hear about folks losing significant amounts of capital before making the switch to RadioActive Trading. It sounds like you have a great career ahead of you and I’m happy that RT and Blueprint have been a part of that. I used the RPM method during 2011. While I did not loose any monies my profits were minimal. I believe I held on to the positions too long. Went back to Cover Calls and Naked Puts during 2012, made only about 6% for the year but had some sleepless nights. I have not traded in 2013 as of yet. I read the Blueprint again and would like to start trading again with your stategies, I am considering to join FUSION, however i am hesitant to subscribe and get back in when the market is making all time highs. My question is are you finding positions to get in during the current market enviroment. Yes, it’s important to sell out of positions with at least a few months left til expiration because of the exponential decay of time value in your puts. This is the very reason we named it, “RadioActive”; the decay curve closely resembles that of a radioactive element. As a Blueprint owner write me anytime, but please use the support email you got with your Blueprint. Good chatting, and Happy Trading! Kurt, I have been using Kurt’s RPM method for about 8 months. 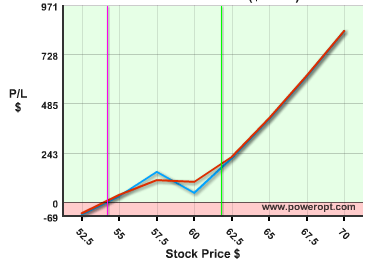 During those 8 months, I have been trading growth stocks with very minimal risk and even when some of the stocks began to fall, I was able use RPM methods to cash (RPM method 9) when I see in the chart that the stock is at the support and behaving well and then start riding the stock back as it gets near my initial buy position, So far, I have done all of the RPM methods, and I must say that i was not just making decent profits but was able to stay with positions comfortably during the time the market was selling off in June time frame. Most of all, I go to bed knowing that most of my principal and the paper profit are protected with a reasonable but manageable risk. I owe a lot to Kurt as well as Mike for this. Glad you are reaping the benefits of the RAT methods! Your story is common among our students. Please keep us up-to-date on how your investments are going. We’re here in the investing trenches with you everyday, love hearing about successful individual investors taking control of their financial destiny and doing it with limited risk! When I began using the RadioActive Trading methods, that’s when I first began to win at this crazy game. Glad to hear that you’ve joined the ranks of those that understand how to limit risk and do riskless spread trades! Received a post card from you offering special offer on The Blueprint; says go to ‘support@radioactivetrading.com but the ‘web page does not exist’. Want to obtain program if there is a ‘special reduction’ in cost. Hi Darrell: support@radioactivetrading.com is an email address, not a web address, you just need to send us an email for the special bonus offer. In fact, we don’t do cost reduction promotions, only special bonuses that go along with the product. I’ll send you a personal email with the bonus offers. Regarding rolling up puts: Would it ever make sense to roll up to a way OTM strike price, perhaps to a price that the stock would likely not reach by expiration? it seems to me that if you roll up to a strike price $10 or $20 above current share price, you would have the benefit of locking in an option which you could later (closer to expiration) sell for the difference between the strike price and current share price. Am I missing a step here that would make this a bad idea? Thnks for asking, Michael! I use PowerOptions to search, analzye, and track every trade of mine. A two week free trial is available at http://www.poweropt.com/rat. Hello Angel, sorry! It appears we had an issue with notifications and I did not see your post until now. We show examples in The Blueprint on what to do if a stock declines. Of the 12 different income methods, some are used if the stock moves up, others are used if the stock stagnates and some are used if the stock falls in price. 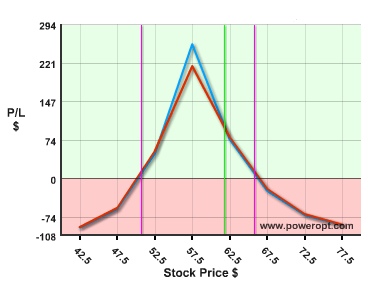 You can even make an adjustment to profit in both directions if you think the stock will gap down. If the stock falls -20% due to an unexpected event, well, you should be thankful that the Married Put was in place and you can close the position for only -5% loss.